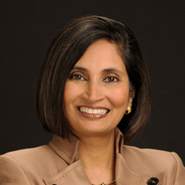 This interview was recorded in 2009, when Padmasree Warrior was Cisco’s Chief Technology Officer (CTO). Her role has expanded since then and she is currently a Chief Technology & Strategy Officer at Cisco. She joined Cisco in 2007 after having spent over 20 years at Motorola in Chicago. At Motorola she was an Executive Vice President and Chief Technology Officer (CTO). In this wide ranging interview we talk to Warrior about what does a CTO do in a company? What is her as CTO at Cisco? At the time of this interview there was a global economic downturn and we asked her how Cisco is prepared and handling this economic downturn. Besides technology and strategy questions, we also spoke to her about growing up in India. What was it like growing up in a small town in India and the role of her parents in encouraging and shaping her world view? Who inspired her to pursue a degree in engineering? And of course, we get to ask her about Twitter, where she currently has almost 1.5 million followers. You can follow Warrior on Twitter. Interestingly, Cisco Systems Inc (CSCO) was founded in the 1980s during an economic downturn and in a short span of less than 25 years has grown to become one of the largest networking companies in the world. Warrior got her undergraduate degree in engineering from the Indian Institute of Technology (IIT) in Delhi, India and a Masters from Cornell University, USA. This interview was first published in LiveMint, a leading business newspaper from India.